We all have those days when your hair is freshly washed, flat and just a nightmare to get any oomph into. Here are a few tips that I find help towards a perfect hair day! 1. Products - To stop that annoying fluffy, floppy hair look its definitely time to call upon a few hair product heroes. Salt spray - Amazing at giving your hair texture and grip. Perfect for spraying in before an up do or great before curling as it will help your style stay and last longer. 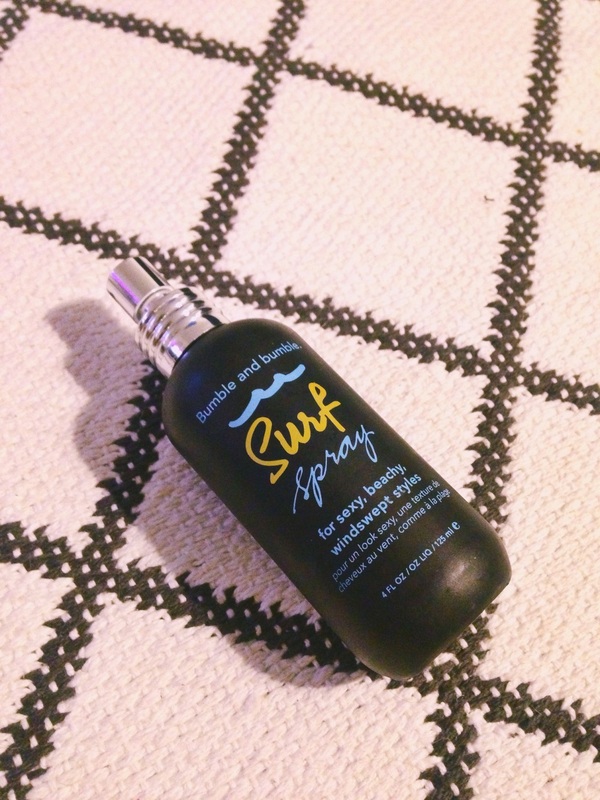 Bumble and Bumble Surf Spray is one of my favourites! Mousse - Put into dry hair and roughly blow dry before curling or straightening for a longer lasting hold. Finish with some hairspray. Bedhead Queen For The Day is perfect. 2. You never really know if those tips you're told when you're young are actually true. I always wondered if blasting my hair dry upside down really worked but after adding a bit of salt spray or mousse it really does amp up the volume! 3. Trusty back combing or teasing with your fingers is also a great way to add texture or volume - especially if you're wearing the undone messy waves style that everyone is loving so much at the moment. Gently tease the ends of your hair, add some spray wax and voila! Charles Worthington Volume & Bounce Texturising Spray is a great bargain product. Let me know if you'd like me to review any products or would like to see some more hair tips!